Capacitor with flat plug connection for the operation of single-phase AC motors, e.g. Of grinding machines, lawn mowers, concrete mixers, wire rope hoists. 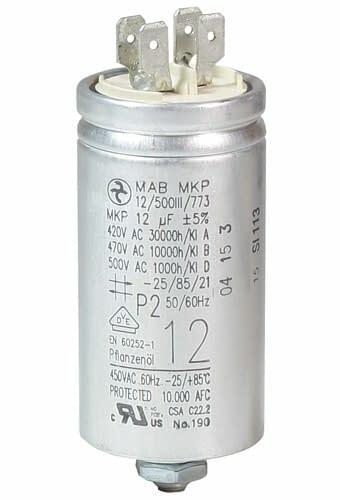 Self-healing capacitor (MKP) in aluminium housing with cap, cable routing to the side, overpressure disconnector, base screw.